This fraud prevention module will screen every order transacted on OpenCart e-commerce platform in real-time for payment fraud. Its sophisticated validation algorithm will accurately detect the fraud patterns to help you to minimize the chargeback and fraud losses. 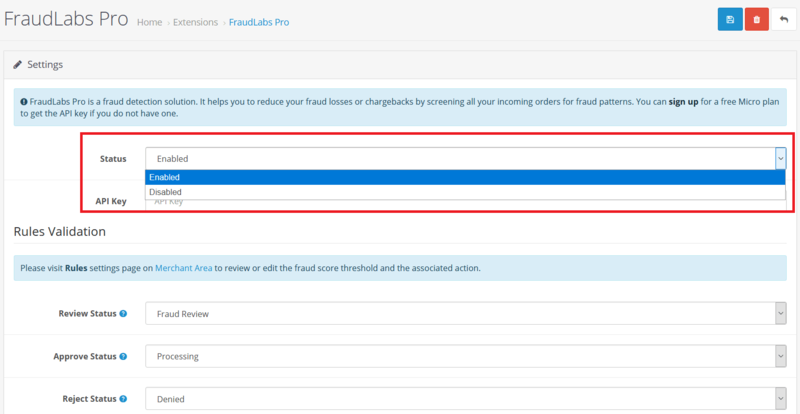 Please visit the FraudLabs Pro Features page to learn more about the type of fraud validation performed and how it could help you to prevent the payment fraud. 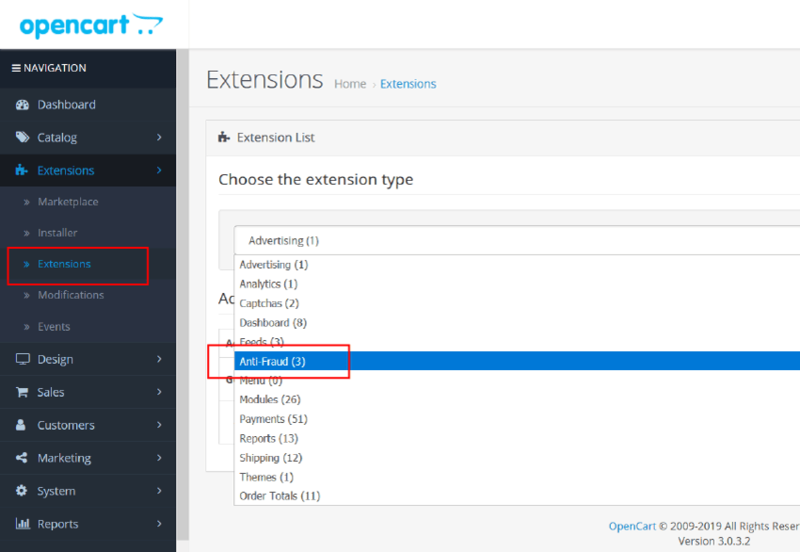 For OpenCart version 2.0.3.1 or later The module has been integrated into Anti-Fraud feature. Login to the OpenCart admin area. Click on the System menu and then click on the Edit link of the store that you would like to enable the FraudLabs Pro feature. Enter the FraudLabs Pro API license key. Select the order status for the risk score that exceeds the pre-set value (value in item 6). Click on the Settings menu and then click on the Anti-Fraud menu. Click on the FraudLabs Pro then click Install. After the installation, click on Edit in order to edit some settings. Select Enabled. Then enter the FraudLabs Pro API key and other settings. 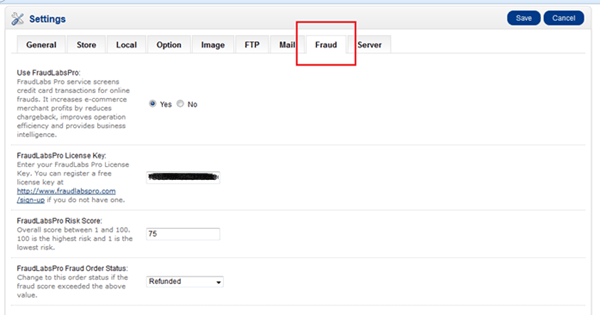 Why the OpenCart fraud validation is not working after the payment process?